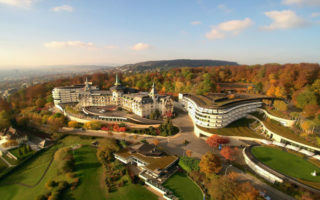 Zurich, Switzerland is a beautiful and sophisticated city located in an Alpine setting at the northern tip of Lake Zurich (Zürichsee), in the heart of Europe. 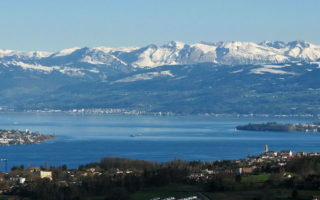 It is the largest city in Switzerland with a population of 400,000 in the city and 1.5 million in the canton of Zurich. 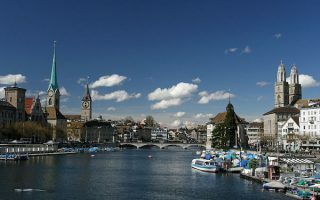 Zurich is a cultural and industrial center, and also one of the global centers for finance and banking. “Swiss made” translates to high quality worldwide, and the same precision can be experienced throughout Zurich. For runners, Zurich offers green parks, waterfronts, hills and beautiful architecture. 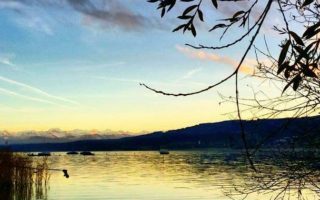 Running highlights include the paths along Lake Zurich, the Limmat River, Uetliberg (“Zurich’s local mountain”), and a ‘runseeing’ tour of the old town. 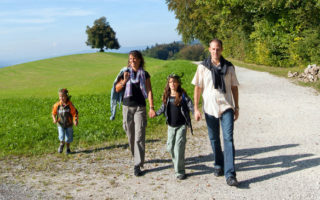 Or, hop on the train to Greifen Lake to run along some of the paths there. Zurich has excellent infrastructure — metro and bus, bike paths, and terrific wayfinding. It is easy to get around. The main railway station, Hauptbahnhof, is the main junction for the extensive Swiss railway network. 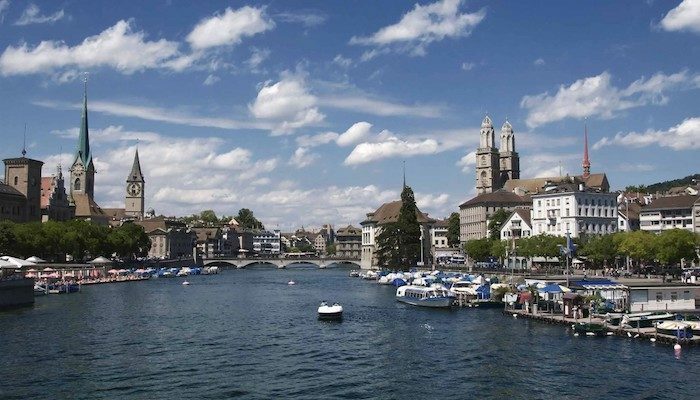 Zurich’s high quality of living translates into it being a high cost city. Zurichers speak Swiss German but it is easy to get around also by English as most locals speak it well, too. 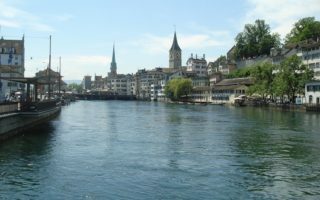 A 'runseeing' tour of Zurich's Old Town (Altstadt) and sights. 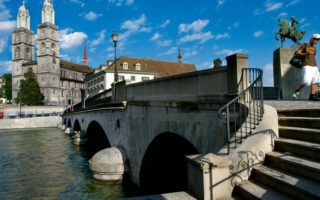 Includes a section along the Limmat River. See Urania Observatory, St Peter's Church, Parade Square, Townhall (Rathaus), Grossmünster and the Gates of Hell sculpture. Wonderful run on paths along either the eastern or western shores of the lake. Landmarks, parks, and views of the Alps. Great run along the river, with pedestrian paths most of the way. From the Zurich Marriott, we've mapped out 8.8 km one way to the Kloster Fahr (Fahr Abbey), with numerous to cross bridges to make a shorter loop. A 20 minute train ride from central Zurich takes you to near the top of Uetliberg, Zurich's 'local mountain'. A favorite run is along the ridge to Felsenegg. Great views of the valley and the mountains. Hilly! Run along the perimeter of this lake on off-road paths, only 30 minutes from central Zurich by train. The full loop around the lake is 11.5 miles (18.5 km). Great views of the lake and the Alps in the distance. Series of hilly forest paths behind the famous Dolder Grand hotel, about 4km from central Zurich. Accessible by transport. There are 5 km and 8 km paths. ur distinct seasons, with a moderate climate. with and the climate is moderate with no extreme heat, cold or humidity. In winter there might be some occasional snow and ice with on average 74.9 days per year in which the minimum temperature is below 0 °C (32 °F). Springs are cool to mild, and the weather can change from sunshine to rain fairly rapidly. Fall weather can be very nice when it is nice but it can also be rainy and foggy too. Summer temperatures are mild, with average highs of 23C (74F), with some warmer days. August is the sunnier month. Zurich has four distinct seasons and the climate is moderate with no extreme heat, cold or humidity. In winter there might be some occasional snow and ice with on average 74.9 days per year in which the minimum temperature is below 0 °C (32 °F). Springs are cool to mild, and the weather can change from sunshine to rain fairly rapidly. Fall weather can be very nice when it is nice but it can be rainy and foggy too. Summer temperatures rise to 25 °C (77 °F) to 30 °C (86 °F) and August is the month with the most sunny days. Adidas Runners Zurich. Adidas running group operating through their Facebook pages. Bernhart Laufshop. Running specialty store located north from the city center. SportXX. General sporting goods store chain which is part of Swiss retail giant Migros. Two locations in Zurich. CityRunning. CityRunning is Zurich’s biggest runners’ network and open to runners of all levels. They offer free guided tours several times a week. Hash House Harriers. The Hash House Harriers, founded in 1938, is an international group with over 70,000 active members worldwide. They are a social running (and walking) group that focuses more on social element than just running. Zurich Happy Runners. A Meetup group with over 1000+ members. Offers weekly runs for runners of all speeds. Zurich Marathon. A great race, run in April since 2003. The route goes mainly along eastern shore of Lake Zurich. Team Run and City Run are taking place on the same day. Team Run An annual run for teams taking place in April in conjunction with the Zurich Marathon. Teams of four runners split the distance in the legs of 9.0km, 11.7km, 4.0km and 17.5km making the total to full marathon distance 42.2km / 26.2 miles. City Run. City Run is another event happening in conjunction with Zurich Marathon. Course is a 9.85km / 6.12 miles. Silvesterlauf. The race celebrated its 40th anniversary in 2016 with almost 25,000 runners of all ages participating in various distances from 1.5km to 9.8km. Greifenseelauf. Greifenseelauf is a road running event established in 1980. It takes place in mid September annually. Half marathon course makes a loop around beautiful Greifen Lake. The event features also 10k and some other shorter distances.